Our growing population adds further strain on an already limited resource. Unlike electricity, we can’t live without water. This is why it’s important that we become conscious of the amount of water we use and save as much as we can to ensure the sustainability of our most valuable resource. 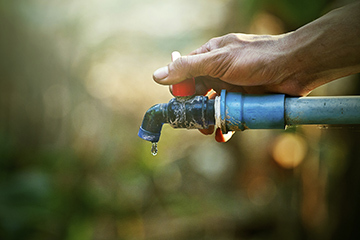 Urgent notice: Due to the critical nature of available water supply, all water users across the metro must expect water rationing which could lead to water supply disruptions. Fresh water supply is under immense pressure in certain parts of our province with prolonged droughts on the rise. It’s therefore very important that everyone sticks to water restrictions which are implemented by municipalities. When washing your hands or brushing your teeth, make sure you turn the tap on only to rinse. Use less water when filling your bath and take shorter showers. Don’t waste water when you flush the toilet after use. Once you are done flushing the toilet, lift the handle up immediately in order to reduce the amount of water running down the drain. When washing dishes by hand, don’t leave the water running to rinse the dishes. 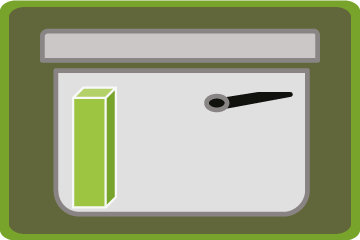 By following the above steps, you can reduce the amount of money you pay on your water bill. 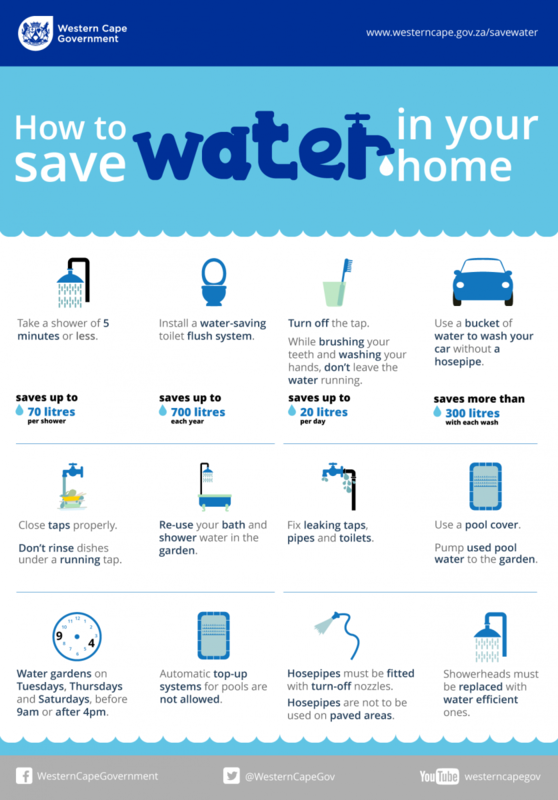 The water reductions tariff table shows you how much money you will be saving per kilolitre of water you don’t use, according to the level 1 water restrictions and the level 2 water restrictions. 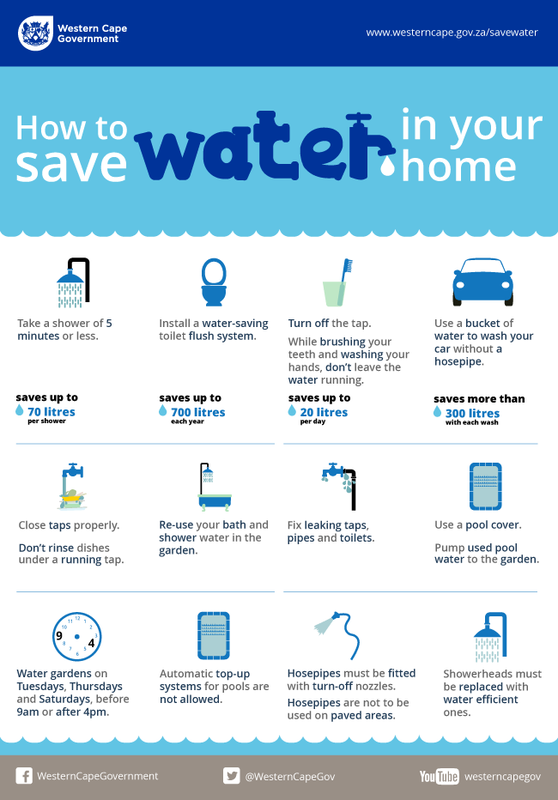 Find out what you can do to save money and water in and around your home by reading How to manage your water restrictions at your home. The Department of Water and Sanitation (DWS) in an effort to help citizens reduce the use of water, started the Drop-the-block campaign. This water-saving method of dropping a plastic block into the toilet cistern helps reduce the volume of water used when you flush your toilet. The block is made from recycled plastic to prevent erosion and blocking of the toilet. Toilet cisterns hold 9 to 15 litres of clean water which is dispensed with each flush. After dropping the block into the cistern, a household of 4 people who go to the toilet 4 times a day, can save up to 32 litres of water per day. If you’re interested to know more about the Drop-the-block campaign, read Drop-the-block for more information.